A flats buyer must keep certain things in his or her mind while buying a new property in a location. Some of them include budgets, features, facilities, and other things for making the investments a valuable one. It is necessary to determine the type of a home before putting money. The Express Park View is a residential project launched by Nimbus Group in Greater Noida.. It offers luxurious Flats in Phase I and Phase II which is near to Pari Chowk. All the flats are a suitable one for those who want to live a lavish lifestyle. The sizes of apartments start from 795 to 1475 sq feet allowing investors to buy an apartment based on the choices. 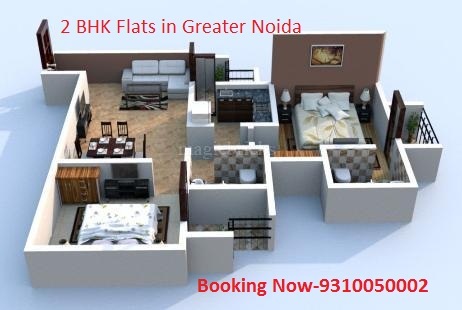 Furthermore, the prices of 2 BHK flats in Greater Noida are an affordable one making people to book a property depending on the requirements. Another thing is that they provide ways for choosing an apartment which exactly fits a family. Those who want to know more about the details of apartments can seek guidelines from experts for making a right decision. One can even reserve a flat online in advance after comparing the prices. In addition, the apartments are a perfect choice for those who want to live in an Eco-friendly environment.